I've killed five people, there's a bullet in my leg that's reduced me to a crawl, and I'm bleeding out, 100 metres from safety. I really want to survive. 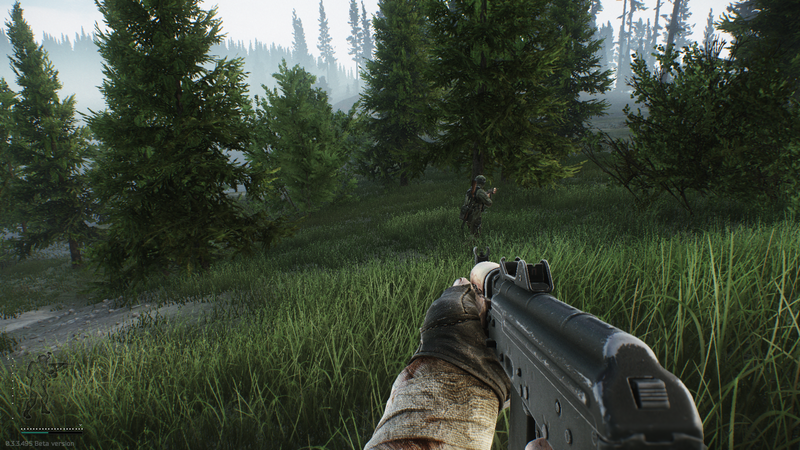 I've been playing Battlestate Games' Escape from Tarkov habitually for the last few days, and it's moments like this when I feel like I'm starting to get somewhere. I've got an assault rifle at least, which is an unexpected surprise. This isn't the first AKS-74U that I've held in my hands, but it became meaningful after I had to hide in a darkened shower room for 10 minutes to get it, clutching a tomahawk in my digital hands as I waited for my adversary to come through the door and deliver me a new gun to replace the empty Makarov on my belt. I wasn't camping, of course. It was a matter of survival. My leg was shot, as I mentioned, and I couldn't move faster than a stagger. There's a bag full of random ammunition, weapon parts, and medical supplies on my back that could mean a major payday, if I can escape with it. 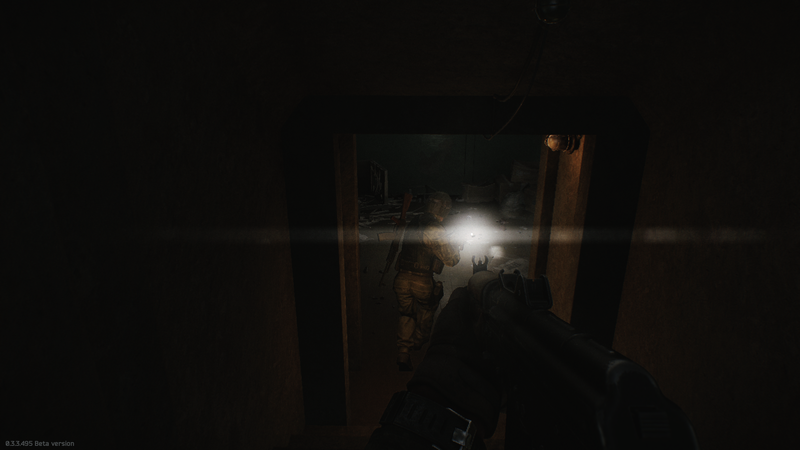 Now, I'm bleeding as I crawl to the extraction, pistol rounds cracking overhead as I try to crawl the last 50m. One thought and one thought only is going through my head: An AKS-74U is worth 12,000 roubles, more if I strip out the parts and sell them separately. 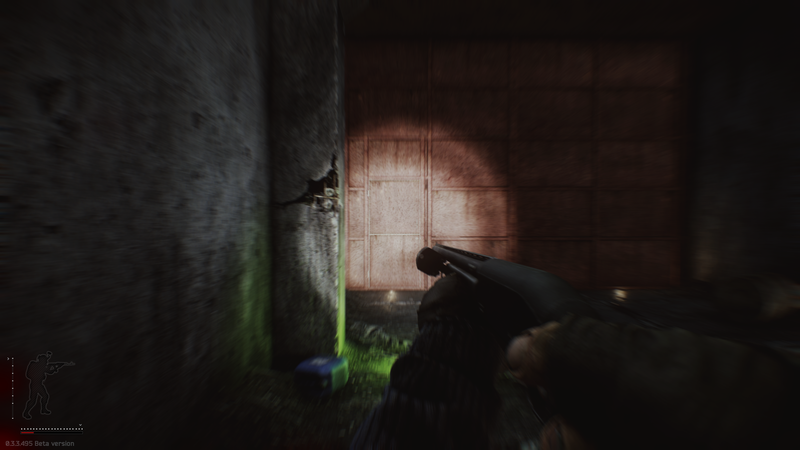 This is Escape from Tarkov's core loop. 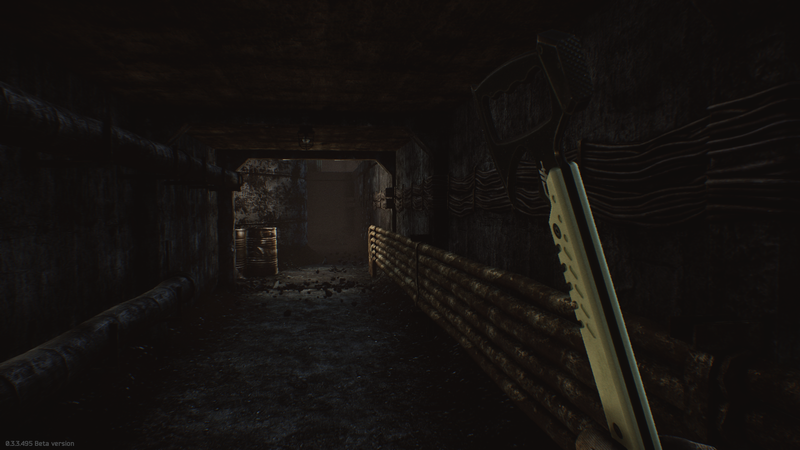 It's a survival shooter played out in a series of instanced maps, several PMC soldiers going head-to-head to get in, get their loot, and get out. AI and player-controlled scavengers, dubbed Scavs, appear at random to cause problems, and every single time you load into a mission you're gambling everything you bring with you. There's a risk-reward mechanic to the game that constantly thumps in the background. 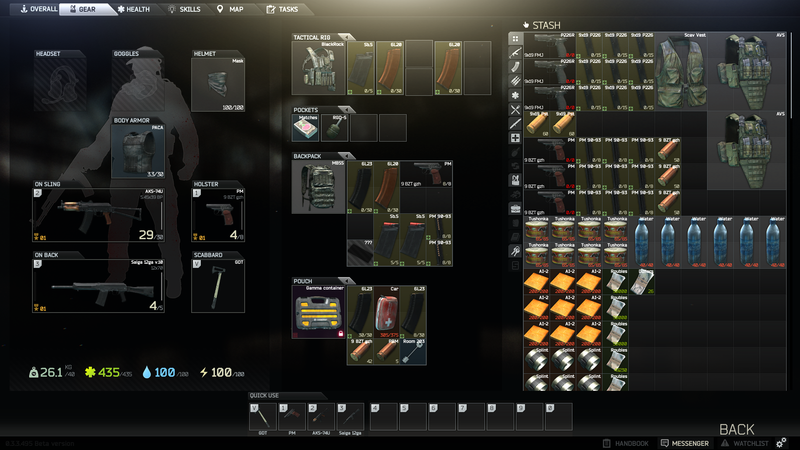 You can grab items from your stash before each mission, picking out guns, armour, and a variety of tactical gear that you've begged, borrowed, and stolen. The kicker is that while better weapons and equipment will make it more likely that you survive, it's more for you to lose if you're killed, as you lose everything you're carrying on death. You can make a risk-free run as a scavenger once every thirty minutes, but your gear is randomly selected, and unless you successfully extract, you don't get any of it to keep. This means there's a financial decision to be made behind every gunfight. Do you want to be safe, or do you want to make Serious Profits? 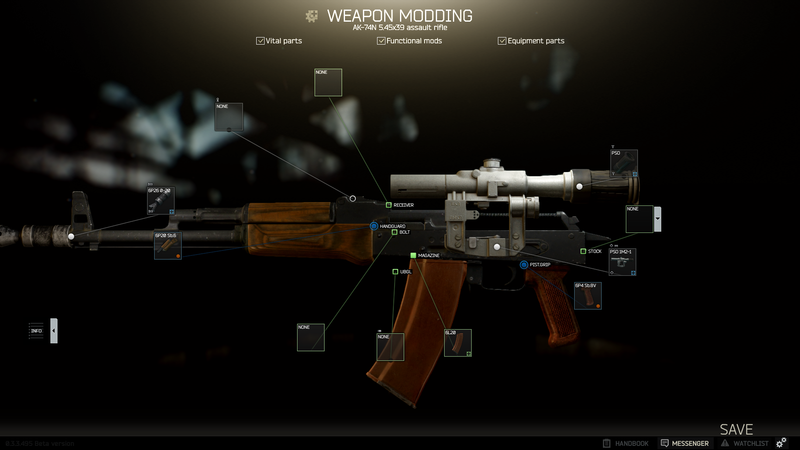 These elements form most of the hook, the constant gambling and the desperate hope that this might be the time you get an M24 sniper rifle to the extraction point, but once you're involved, Escape from Tarkov can show you everything else it has going for it. The game's atmosphere feels like Stalker and DayZ had a tiny child and abandoned it in the wasteland to survive for itself. It's intense. Close quarters firefights are punctuated by shotgun blasts and what might be the most terrifying grenades in gaming, monstrous things that fling hot metal in every direction, ricocheting out in close spaces with so much noise and fury it's hard to remember a time you weren't terrified of grenades. Longer range firefights will feel familiar to battle royale veterans, indeterminate periods of silence and quiet observation that suddenly explode into desperate battles for survival. Here, gunfire rattles in the distance, running firefights tracing their way through coastal towns and woodland as you hustle for extraction. The weapon handling and movement feels chunky, although it's responsive enough in close quarters that you still feel like you can move. Each gun feels powerful, and although recoil is unforgiving it takes so few rounds on target to drop an enemy that it still feels balanced. Without body armour, most players will go down with just a couple of rounds to the chest, but its high cost and the affordability of armour piercing rounds means it remains a luxury many view as unnecessary, so time to kill is often just a couple of panicked seconds. The gun customisation is the most detailed I've ever seen in any video game. Every gun can be pulled apart and rebuilt. On an AK47 this means the stock, pistol grip, dust cover, muzzle, and handgrip can be changed, and before you even get into which magazine you'll be shunting into it you need to load it with whichever type of round you want to use. It's over the top, but it's hard not to adore something that lets me attach three tac-lights to the front of my shotgun and clear rooms waving the tactical equivalent of a portable sun throughout the building. Still, behind all of this deep simulation there are a lot of times when Escape From Tarkov isn't actually much fun. A losing streak here can wipe out hundreds of thousands of roubles worth of equipment; worse, it can force you to take on heavily armed assailants with inferior gear. When this happens, with the pressure to perform before you're left with no gear at all, it feels like a survival horror. I've been close to bankrupt a few times, and it's both exhilarating and the worst feeling ever, all at the same time. I'm enjoying my time with the game immensely, but it's easy to understand why this wouldn't work for a lot of people, especially because when everything has a price it's simple to see how much you've lost. It also seems to have prioritised simulation over enjoyment, which is going to work for some people but be an annoyance to others who just want to experience the many unique aspects of the game for themselves without being punished, but, and I say this without marking it as either a positive or a negative, that punishment is part of the game. Whether that's going to work is up to you. Bits that objectively aren't where they should be are the game's grouping up system, which allows you to invite a friend that's in the queue for a game at the same time as you to a group, but then merely allows you to inhabit the same space, often dropping you far apart and not giving you any tools to identify or locate each other. Team-killing a friend is common here, but could be easily remedied with a simple identifying mark over their head. The menu and UI could do with some work in general, being quite obtuse to get the hang of. If you're having any success at all, your stash will quickly become disorganised, and I've found that there is so much gear coming and going that inventory management is essential to understand what you've got. 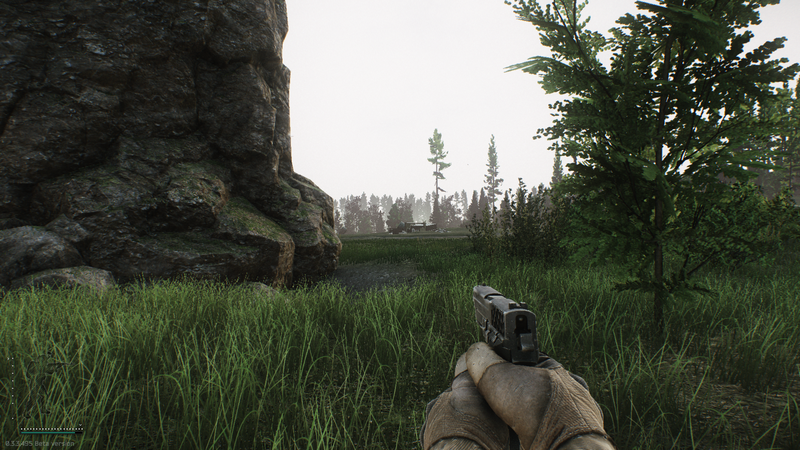 The appeal is narrow, but I think Escape From Tarkov is a totally unique offering, blending the growing battle royale genre it largely predated with a strong financial sense, offering you all the tense gunplay you might expect from a tactical shooter, and blending it with a bizarre MMO metagame that makes this equal parts shooting and looting, a tycoon game that puts you at the sharp end of acquisitions. This'll be too involved for many, and the idea that a shooter's best guns are hidden behind hours of work and can be lost in the blink of an eye will make some people anxious, but I'm having a blast with this just now, and if you've read this preview and you want to give it a go, it could give you a few stories to tell. This preview is based on a closed beta, which is available to all who pre-order the game. An open beta should be the next stage of release, but currently there is no confirmed date or window for this. You can keep track of the game's development on the official website.